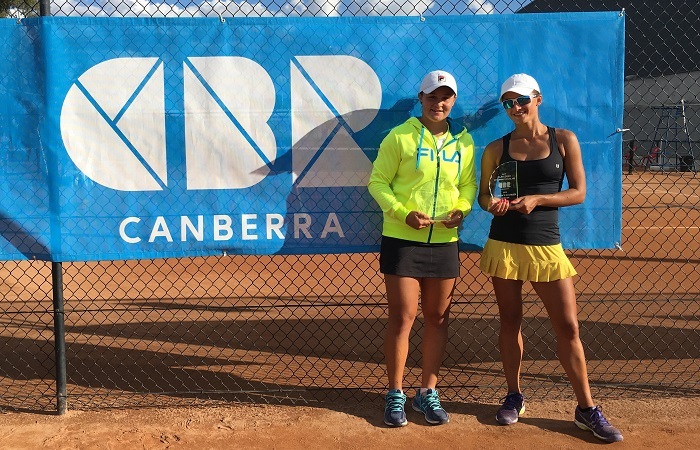 Ashleigh Barty (QLD) and Arina Rodionova (VIC) have won back to back titles in Canberra after defeating top seeds Miyu Kato (JPN) and Eri Hozumi (JPN) at the ACT Claycourt International #2. Barty and Rodionova have proved to be a strong pairing after winning both titles at the ACT Claycourt tournaments. 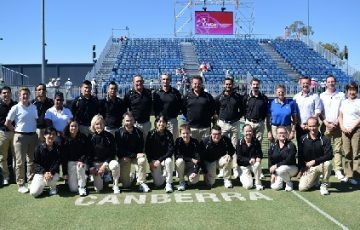 The Aussies got off to a strong start, going out to a 5-3 lead, however things turned quickly as the Japanese pairing rattled off four games in a row to take the first set 7-5. The Aussies didn’t make the same mistake in the second, after breaking at 3-2, then went onto to close out the set 6-3. In the match deciding tiebreak, the scores remained level early on before Barty and Rodionova won six points in a row to go up 9-4. 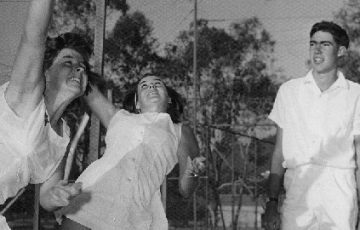 Hozumi and Kato managed to save three match points, before the Australian’s closed in out 10-7 to secure their second consecutive title. It is the third pro tour title for Barty in five tournaments since returning to the doubles court in February. The news wasn’t so good for Rodionova in singles as top seeded Kato edged her out in a three set thriller taking almost three hours. After Kato took the first set 6-3, Rodionova went up 5-3 in the second. Kato then broke twice to serve for the match at 6-5. Rodionova broke back to send it into a tiebreak, winning it 7-1 to level the match. Rodionova broke early to go out to a 3-0 lead in the decider, but Kato fought back. With the set back on serve at 5-4, Kato broke to secure the victory and book her place in the semifinals. Kato will face third seed Ya-Hsuan Lee in the semifinals after she defeated Barbora Stefkova (CZE) in a tight three set battle. Stefkova took the first set comfortably 6-1, before Lee stormed back to take the second 6-3. With the scores locked at 6-6, the match was decided in a tiebreak with Lee taking it 8-6. In the other half of the draw, qualifier Anna Bondar (HUN) had an easy win over second seed Jia-Jing Lu (CHN). She will now face eight seed Varatchaya Wongteanchai (THA) after she defeated qualifier Vivian Heisen (GER), 6-3, 7-5. 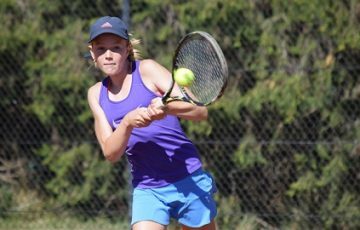 Singles semifinals will be played on Saturday from 11am with free entry into the Canberra Tennis Centre.